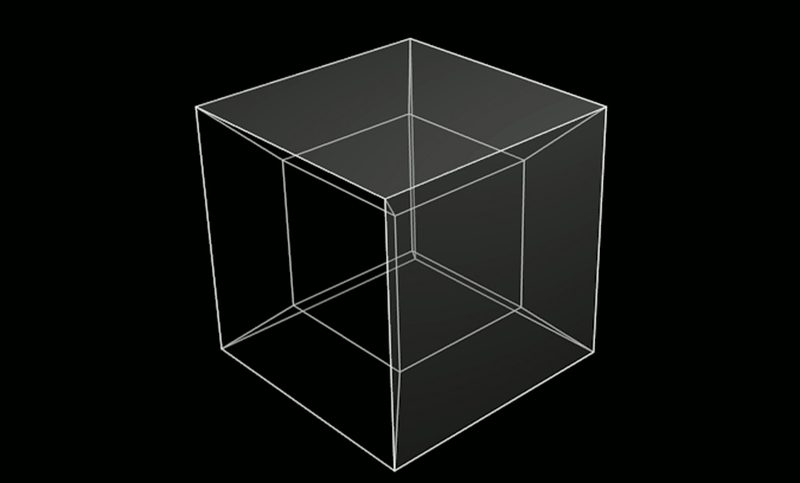 This article was originally published on February 21, 2012. Ever since man first saw a bird fly, man has wanted to fly. Many attempts made by man is the past to fly like a bird were unsuccessful. The idea of airplane has been evolved over the past 2,500 years, starting with ancient Greek science. 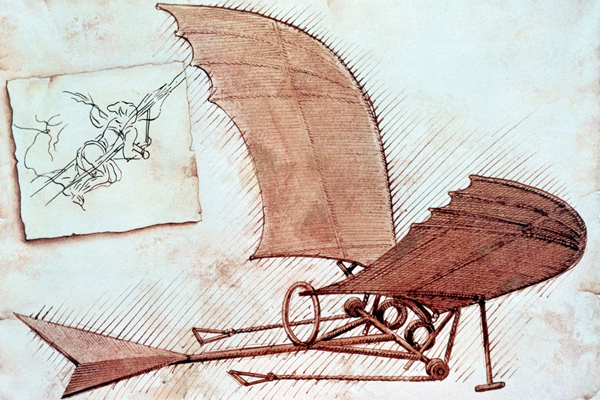 Leonardo Da Vinci was possessed by the idea of flight. He designed a number of ornithopters toward the end of 15th century. In his surviving manuscripts, more than 35,000 words and 500 sketches deal with flight. 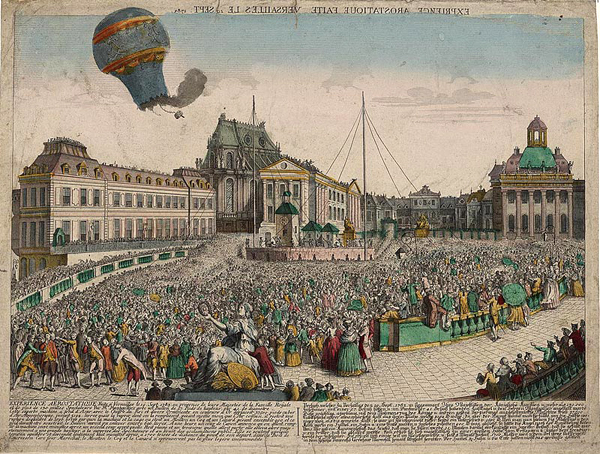 The first successful air flight was in a hot air balloon in 1783. Since the heated air is practically lighter than cold air, it makes the balloon rise in the sky. Then, the first airplane that was flown with wings was a glider. Gliders are non-motorized flying machines and they are difficult to control. A man named Sir George Cayel made the first glider that actually flew. During 1890 while Orville and Wilbur Wright were working in a bicycle shop, the Wright Brothers got interested in flying. 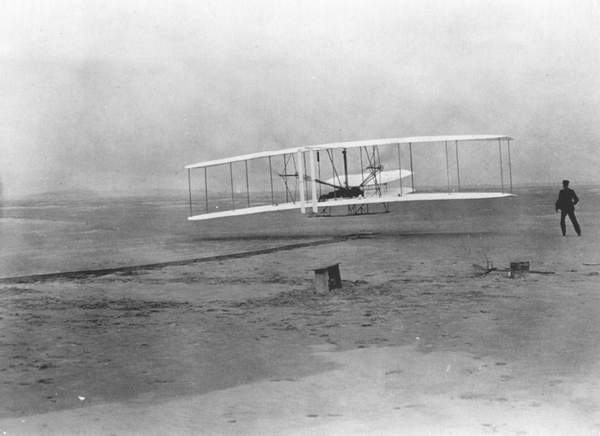 On December 17, 1903, the Wright brothers made the first successful powered flight. They had three successful flights that day, but Wilbur made the longest flight of 892 feet and stayed up for about 59 seconds. Wright Flyer had a 12 horsepower engine that they had built themselves. The development of powered airplane is one of the most appreciable technical inventions of the 20th century. 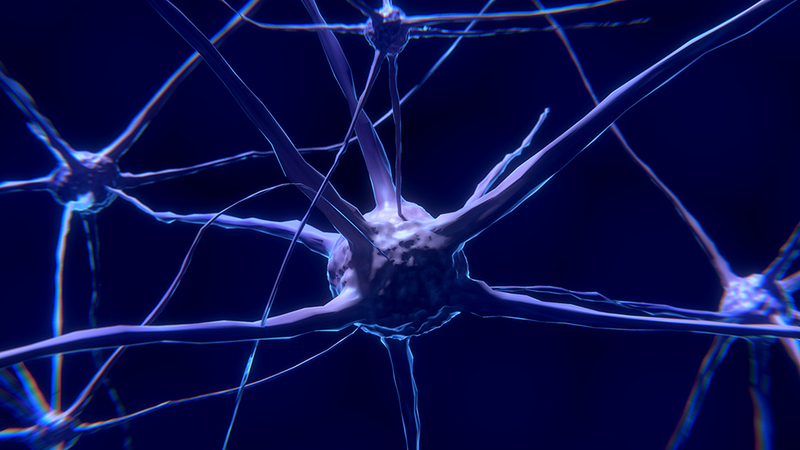 The other amazing inventions of 20th century include electronics revolution and unleashing the power of an atom. Airplanes become a part of our everyday lives. We simply see an airplane and we fly in one or receive someone or something that was delivered by one. The McDonnell Douglas F-4 Phantom II is a tandem two-seat, twin-engine, all-weather, long-range supersonic jet interceptor fighter/fighter-bomber originally developed for the United States Navy by McDonnell Aircraft. It first entered service in 1960 with the U.S. Navy. 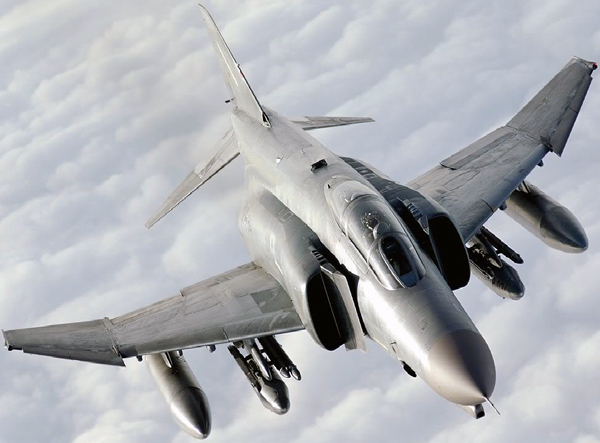 The Phantom is a large fighter with a top speed of over Mach 2.23 (1,472 mph, 2,370 km/h) at 40,000ft. It can carry over 18,000 pounds (8,400 kg) of weapons on nine external hard points, including air-to-air and air-to-ground missiles, and various bombs. 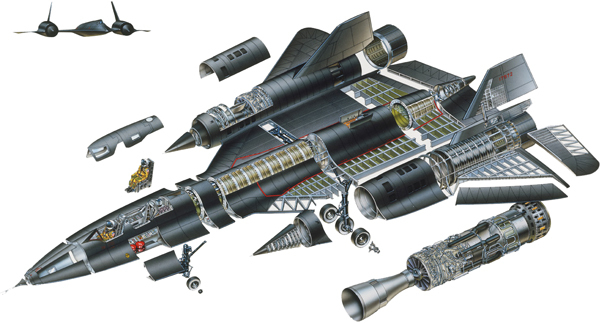 The Lockheed SR-71 “Blackbird” was an advanced, long-range, Mach 3+ strategic reconnaissance aircraft. It was developed as a black project from the Lockheed A-12 reconnaissance aircraft in the 1960s by the Lockheed Skunk Works. Since 1976, it has held the world record for the fastest air-breathing manned aircraft, a record previously held by the YF-12. It has a maximum speed of Mach 3.3 (2,200+ mph, 3,530+ km/h, 1,900+ knots). 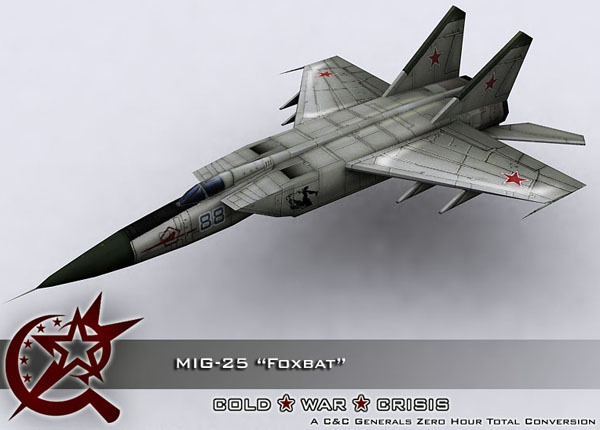 The MiG-25 Foxbat is a supersonic interceptor and reconnaissance aircraft that was among the fastest military aircraft to enter service. Designed by the Soviet Union’s Mikoyan-Gurevich bureau the first prototype flew in 1964 with entry into service in 1970. It has a top speed of Mach 2.83+ and as high as Mach 3.2 (3,600 km/h, 2,170 mph) but at risk of significant damage to the engines. It features a powerful radar and four air-to-air missiles. The Chengdu J-20 is a purported fifth-generation, stealth, twin-engine fighter aircraft prototype developed by Chengdu Aircraft Industry Group for the Chinese People’s Liberation Army Air Force (PLAAF). In late 2010, the J-20 underwent high speed taxiing tests. It has a maximum speed of Mach 2.5 (1903 mph). J-20 is expected to be operational from 2017–2019. The Panavia Tornado Air Defence Variant (ADV) is a long-range, twin-engine interceptor version of the swing-wing Panavia Tornado. The aircraft’s first flight was on 27 October 1979, and it entered service in 1986. The Eurofighter Typhoon is a twin-engine, canard-delta wing, multirole fighter. Typhoon has entered service with the Austrian Air Force, the Italian Air Force, the German Luftwaffe, the British Royal Air Force, the Spanish Air Force, and the Royal Saudi Air Force. It has a maximum speed of Mach 2 (2,495 km/h/1,550 mph). The McDonnell Douglas (now Boeing) F-15 Eagle is a twin-engine, all-weather tactical fighter designed by McDonnell Douglas to gain and maintain air superiority in aerial combat. It is considered among the most successful modern fighters with over 100 aerial combat victories with no losses in dogfights. The Eagle first flew in July 1972, and entered service in 1976. 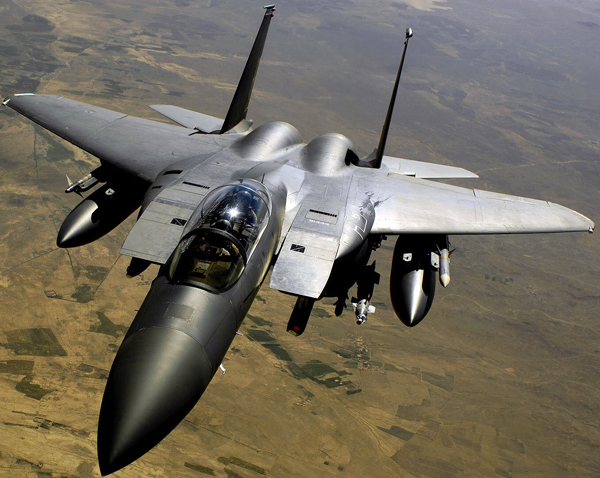 The F-15 is expected to be in service with the U.S. Air Force past 2025. It has a maximum speed of Mach 2.5+ (1,650+ mph, 2,660+ km/h). 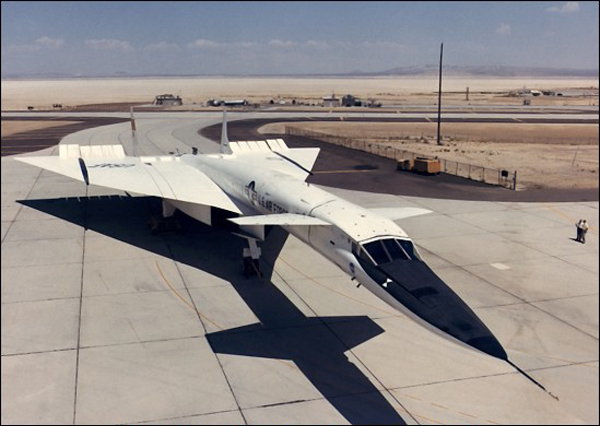 The North American Aviation XB-70 Valkyrie was the prototype version of the proposed B-70 nuclear-armed deep-penetration strategic bomber for the United States Air Force’s (USAF) Strategic Air Command. It has a maximum speed of Mach 3.1 (2,056 mph, 3,309 km/h). Designed by North American Aviation in the late 1950s, the Valkyrie was a large six-engine aircraft able to fly Mach 3+ at an altitude of 70,000 feet (21,000 m), which would have allowed it to avoid interceptors, the only effective anti-bomber weapon at the time. Lockheed Martin F-35 Lightning II is a family of single-seat, single-engine, fifth generation multirole fighters under development to perform ground attack, reconnaissance, and air defense missions with stealth capability. 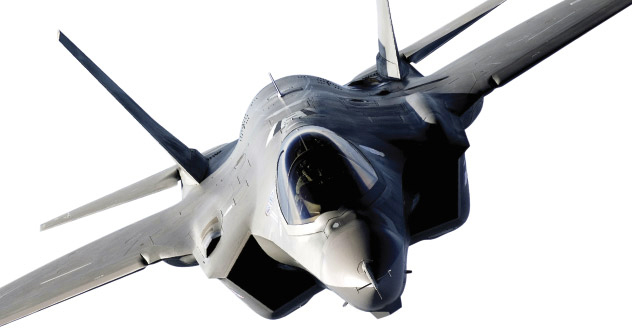 The F-35 has three main models; one is a conventional takeoff and landing variant, the second is a short take off and vertical-landing variant, and the third is a carrier-based variant. The F-35 took its first flight on 15 December 2006. It has a maximum speed of Mach 1.6+ (1,200 mph, 1,930 km/h). The Sukhoi PAK FA is a twin-engine jet fighter being developed by Sukhoi OKB for the Russian Air Force. 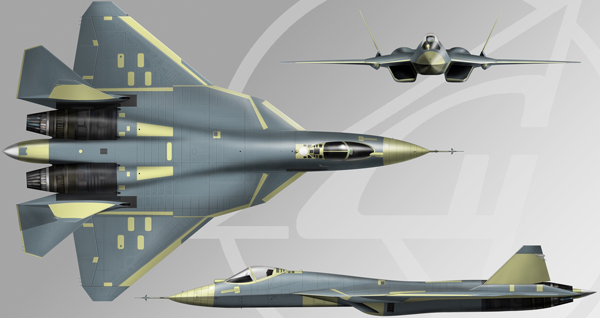 The Sukhoi T-50 is the prototype for PAK FA. The PAK FA is one of only a handful of stealth jet programs globally. It has a maximum speed of Mach 2+ (2,100 – 2,500 km/h) (1,300 – 1,560 mph). The PAK FA, when fully developed, is intended to be the successor to the MiG-29 and Su-27 in the Russian inventory and serve as the basis of the Sukhoi/HAL FGFA being developed with India. A fifth generation jet fighter, the T-50 performed its first flight 29 January 2010. The Lockheed Martin/Boeing F-22 Raptor is a single-seat, twin-engine fifth-generation super maneuverable fighter aircraft that uses stealth technology. It was designed primarily as an air superiority fighter, but has additional capabilities that include ground attack, electronic warfare, and signals intelligence roles. 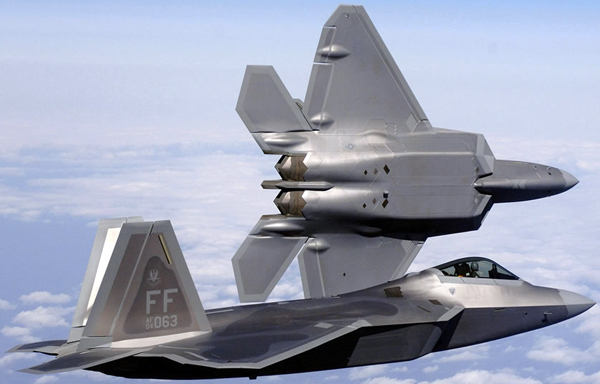 Air Chief Marshal Angus Houston, former Chief of the Australian Defence Force, said in 2004 that the “F-22 will be the most outstanding fighter plane ever built. Primary user is United States Air Force. It has a maximum speed of Mach 2.25 (1,500 mph, 2,410 km/h). The North American X-15 rocket-powered aircraft/space plane was part of the X-series of experimental aircraft, initiated with the Bell X-1, that were made for the USAAF/USAF, NACA/NASA, and the USN. 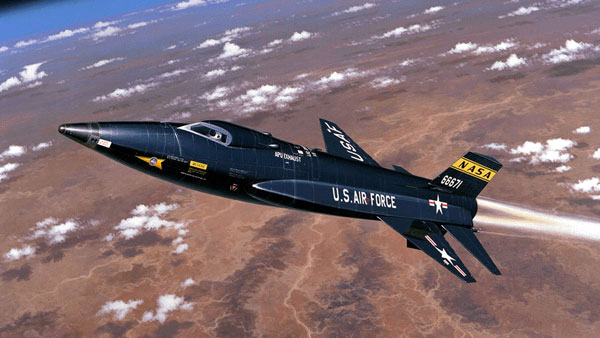 The X-15 set speed and altitude records in the early 1960s, reaching the edge of outer space and returning with valuable data used in aircraft and spacecraft design. As of 2012, it holds the official world record for the fastest speed ever reached by a manned rocket-powered aircraft. It has a maximum speed of Mach 6.72 (4,520 mph, 7,274 km/h). 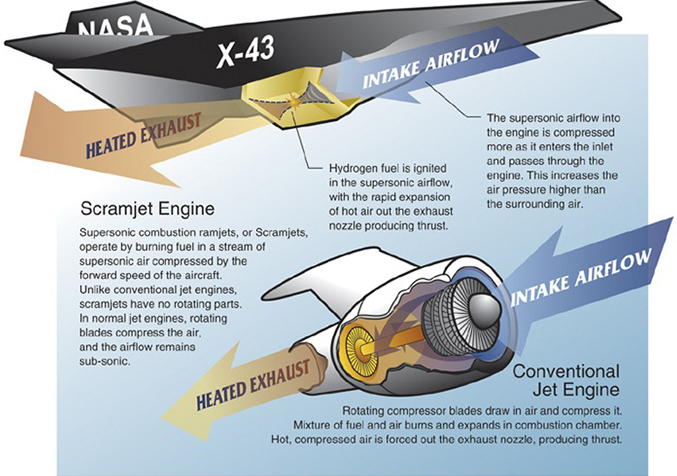 The X-43 is an unmanned experimental hypersonic aircraft with multiple planned scale variations meant to test various aspects of hypersonic flight. 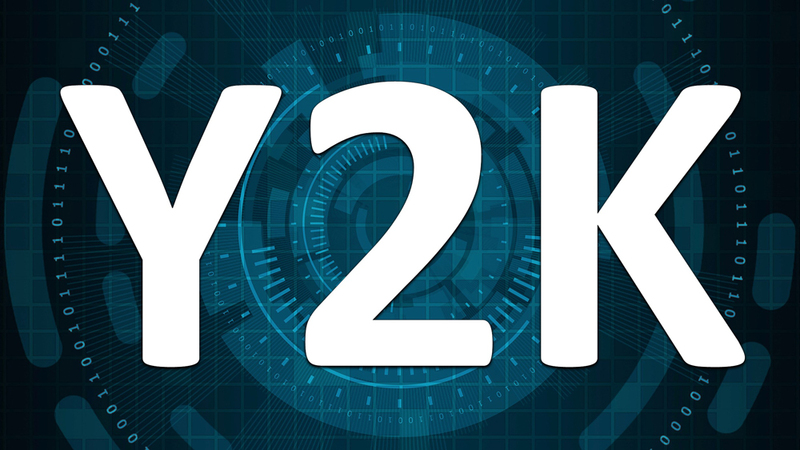 It was part of NASA’s Hyper-X program. The X-43A more than doubled and tripled, the top speed of the jet-powered SR-71. Guinness World Records recognized NASA’s X-43A scramjet with a new world speed record for a jet-powered aircraft – Mach 9.6, or nearly 7,000 mph. The X-43A set the new mark and broke its own world record on its third and final flight on Nov. 16, 2004. 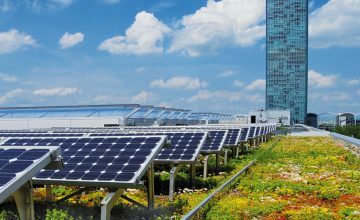 Every once in a century, something gets invented that changes the very nature of our everyday lives. While little inventions come out every day, it is these big ones that move us forward into whatever the destiny of mankind turns out to be. The next time you are outside on a clear day, just look up.